It is 2018 and shopping has now become synonymous with online retail as much as with physical stores. New businesses are faced with the challenge of deciding which route they should take, and existing ones are trying to weigh up the benefits of shifting into the alternative. The brick-and-mortar store might seem like it is becoming superfluous but, in reality, consumers haven’t totally lost interest in them. There are, of course, a lot of advantages to having an ecommerce business, especially if you are just starting out, because of the lower costs involved with setting up. There is no rent to pay, less employees to hire and you can be open for 24 hours. A significant draw for entrepreneurs who open online business is also the fact that they can reach a wider audience, so niche businesses don’t have to worry about trying to appeal to everyone who walks past their shop front. The internet has certainly revolutionized the consumer experience and many well-known brands have started including online functions to their businesses. For example, Target has all its products online for you to browse on an easy to use website and Domino’s is continually adding features to its online ordering process to make it easier for customers. The customer can now either buy something online and have it delivered or look at it online to compare prices before coming into the shop to pick it up. These combined shopping experiences seem to be a good model for many retailers as they are able to tailor the customer experience for the individual. Online statistics about ecommerce have boasted that it will soon reach $400 billion in revenue, however, these statistics often fail to mention that this is still only 12% of total revenue. Plenty of online retailers are actually looking to expand into physical stores so that they can cash in on something that consumers still love: the experience. Online retail has no way of giving consumers the personal touch or building relationships with them. A lot of customers feel more secure buying a product if they are able to experience it before they buy it and, of course, some things don’t sell as easily online. Food, for example, has remained largely a brick-and-mortar staple. Business owners and entrepreneurs need to be thorough about what it is that their business does and whether it really should be online or not. Your product and the types of customers that you have will have a big influence on this. For a business to include an online component to its store is a more straightforward process because there are less costs or risk to this. A lot of retailers will already be marketing their business online and so the move to including sales through your online platforms is not a huge leap. Moving your business from an online store to brick-and-mortar can be a far more daunting task because of the costs involved. You will have to do a lot of research about the location that you are choosing and make sure that there is a large enough market for you to break even and, hopefully, turn a profit. If you have a loyal online customer base, it is worth making sure that they are aware of your proposed store. Generate online hype about it so that people are aware of its existence before it opens. Another great strategy is to open up pop-up shops so that you can get the community aware of your brand and product before you invest too much money in real estate. Both ecommerce and brick-and-mortar retailers have problems specific to their type of business. What customers really get excited about is a seamless combination of these two ways of shopping. The ways that retailers are doing this are becoming more and more creative. 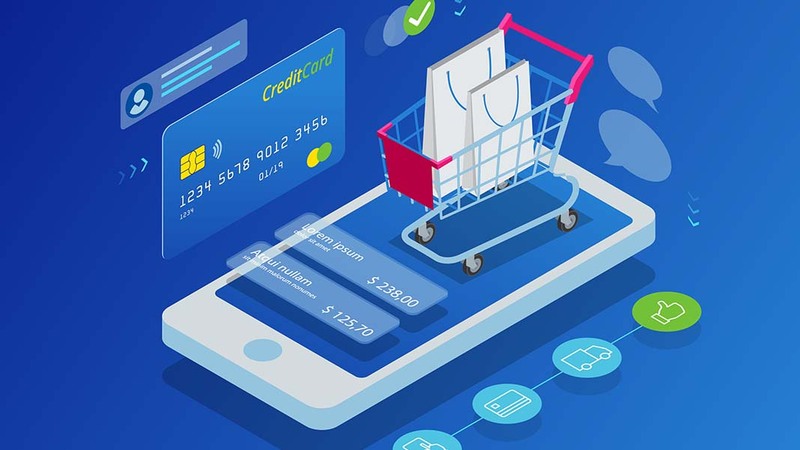 New innovations in physical stores are linking to online applications and consumers are switching between the two in order to provide a tailored experience. And this is what is important: the experience. With the choice that is available to the average consumer, it is the customer experience that will set you apart. Author: Anthea Taylor, Assistant Editor at Dynamis. Anthea writes for all titles in the Dynamis stable including BusinessesForSale.com, FranchiseSales.com and PropertySales.com as well as other industry publications.